The Expo is a great time to learn more about TherasageEMC equine massage certification program. 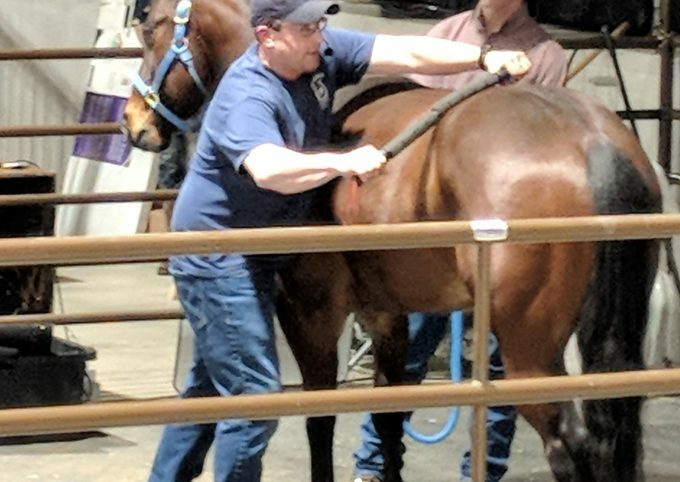 Please stop by the TherasageEMC Booth 52 in the Miracle of Birth barn for details and be sure to check out EQUISTIX Equine Massage Tool while you’re there. You and your horse will love it! Greg Gage, LMT & ESMT, has been a Certified Human Massage Therapist for over 25 years. He is the founder of Therasage EMC; a specialized and progressive equine massage certification program. Greg has served as the lead massage therapist for the United States Reining gold medal team for WEG (World Equestrian Games), and is often personally sought after by leading trainers and equine professionals. 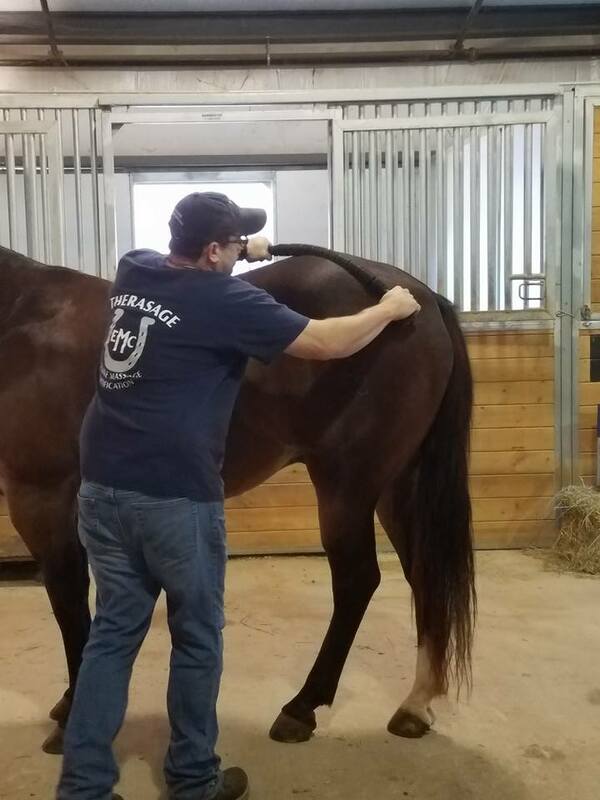 His equine massage practice specializes in trigger point therapy, deep tissue massage, along with stretching and injury prevention for all levels. TherasageEMC is the perfect program for anyone with a love of horses. The program provides a hands-on learning environment for participants to broaden their knowledge of equine anatomy, develop business skills, earn certification, and learn more about equine complementary and alternative therapies and care. Therasage EMC has numerous host barns all over the country and has been approved since 2001 as a post-secondary school for certifications in the state of WI, adhering to guidelines approved yearly by the Wisconsin Education Approval Board. Certification programs currently run in in AZ, CO, MN, NC, OH, TN, TX, WI. EQUISTIX® is an Equine Sports Massage Therapy Tool (ESMT) designed for horses. It’s used by horse owners and riders, equine massage therapists, equine chiropractors and veterinarians. EQUISTIX is the leading massage tool for performance horses. With EQUISTIX, massaging your own horse is easy and safe. You can massage to warm-up right before a competition, cool down after a trail ride and maintain relaxed muscles in between equine bodywork from your massage therapist.